Now it’s about this time that I go to bed but before I do, I decided I wanted to write one more post on the lates book I’m reading, “Becoming Animal: An Earthly Cosmology” by David Abrams. Anyway, it’s a great book and this article I found last week looks to be along those same lines. It’s entitled “Finding Zen in a Patch of Nature” by James Gorman at the New York Times. Tonight as I sit and sift through some old copies of the Science section from the New York Times, I came across an article about hurricane Ike entitled “After Hurricane Ike, Finding the Coastline Rearranged, Again” from September of 2008 and it got me to thinking, I wonder how Long Island fared in all of this? As I sat and watch the news coverage on hurricane Sandy tonight, it made me wonder, why has this been such a tragic year? From the drought across the midwest to this superstorm on the east coast, this has been one crazy year. So anyway, here’s another article on the ever popular topic of Climate Change and another factor, circulation of the ocean. The article is entitled “Climate Change: Circulation of Atlantic Ocean Was Faster During Last Ice Age than Today” over at Science Daily. As my son and I were going over his science test study guide on Newton’s three laws, we somehow got on the topic of earthquakes and then tsunami’s, so when I saw this article entitled “Fury and Fragility: A Sustainable Rebuilding Plan for the Town of Ishinomak, Japan after the Tsunami” by Nadia Kasko I thought he would enjoy this article. 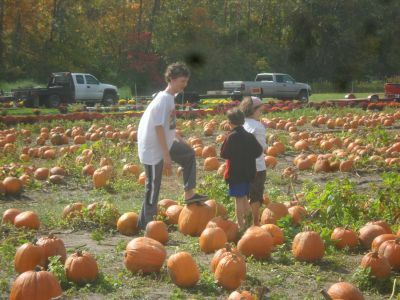 I should also add that last weekend consisted of taking the family over to Stuckmeyers Farm to pick out a few pumpkins for Holloween. So after our usual stroll through most of the pumpkin patch, we found our three (actually four, including my mom’s) harvest. The amazing thing was that despite the drought, as this story shows, their were plenty to choose from according to “Pumpkins Pull Through the Drought” by Georgina Gustin at the St. Louis Post-Dispatch. There’s still a weekend left, so get out and find your pumpkin. Okay, life gets kind of hectic here at our house with the last week or so being no exception but after taking a walk along the Meramec river at Russell E. Emmenegger Nature Park in Kirkwood with my two boys, life is good. 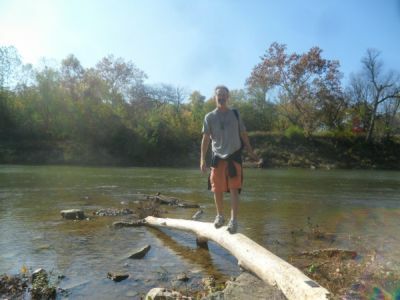 So while I don’t have any articles to post this time, I have included links to the Missouri Conservation Department’s webpage on the Meramec river and to the City of Kirkwoods webpage on the Russell E. Emmenegger Nature Park. While I live here, landlocked in the midwest, I have to say that the one place I would love to visit again (and take my kids) is either coast. I have vivid memories of walking along the beach out west in San Diego and picking up sand dollars. I was also fortunate enough to go out east as an adult and walk along the beaches at Cape Cod. So with that said, here is a great kids book that I stumbled upon this afternoon at the library that is all about the ocean’s and it’s entitled “Bubble Homes and Fish Farts” by Fiona Bayrock. Now while I haven’t read it to my kids yet (as I don’t have them until tomorrow night) I’ve been skimming through it ant I have to say it looks great. I also recently requested a film the other day and picked up today (which I haven’t seen yet) entitled “The End of the Line: Where Have all the Fish Gone?” by Rupert Murray. Now while the title appears depressing, I will have to let you know. Finally, I came across this story over at Grist, “Google Maps Now lets You Walk Around on the Ocean Floor“and while it’s a great story I’m still looking forward to the new book “Soundings: The Story of the Remarkable Woman Who Mapped the Ocean Floor” by Hali Felt.